A very comprehensive review of both the Zaccaro books and Khan Academy! Thank you for taking the time to explain how each has worked (or not) for you. 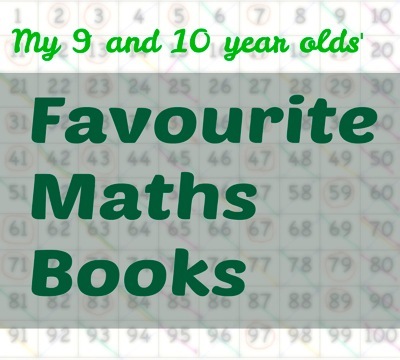 There are so many creative ways to learn maths, and I’m so glad for you that you’ve found a way that works for both your children. I agree with you that Khan Academy is a disguised form of drill that is a step up from doing workbook pages, but doesn’t quite cut it as living maths. We had the same reactions as you to both Zaccaro and Khan. 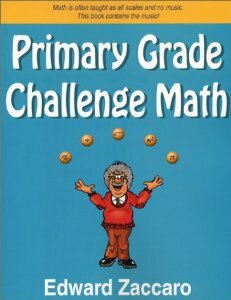 We loved Ed’s books and wished there were many more of them. But my daughter found Khan Academy fun the first two or three days, and then very tedious thereafter. And because the Khan problems are randomly generated, they are actually *worse* than worksheets. 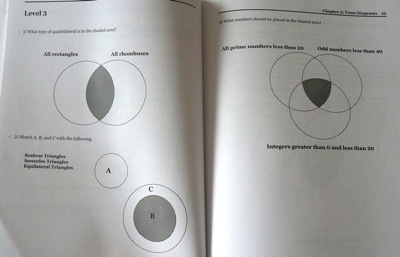 You don’t get the progression to deeper understanding that you find in a set of well-planned textbook problems. I’m glad to hear your daughter enjoyed the Zaccaro books, Denise. It makes me happy to know we have so many unread chapters ahead of us! I hadn’t thought about that with Khan and the random element – I see what you mean. We use the Khan videos in a similar way, for when they need a reminder of how a formula works, or a little better explanation than what I’m giving for a problem. My oldest also starting working through Khan’s SAT prep section – it is boring, but feels comprehensive. Yes, if Khan contained a (British) GCSE section I can imagine it would be very useful for preparing for that exam. My girls all have Kahn Academy accounts but it’s been a long time since they signed in and used the website. The award system is very attractive but it didn’t take me long to realise I want my children to enjoy maths for its own sake and not because they are earning points and badges. Ticking off boxes has nothing to do with real knowledge. We haven’t seen any of the Zaccaro books but I’d like to! They look very interesting. I might order one. Thank you so much for mentioning my backwards maths post. I appreciate the link! Another very interesting post! “Ticking off boxes has nothing to do with real knowledge.” Absolutely! Our children must know that too, which is why they have so little tolerance for such things. I think your girls (and you) will enjoy the Zaccaro books. 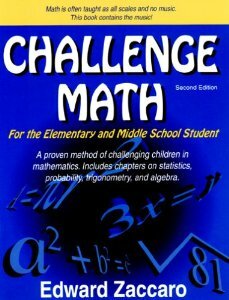 Challenge Maths is extremely comprehensive. 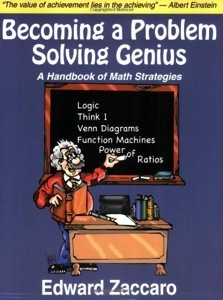 Become a Problem Solving Genius is less thick but wonderful too. I had to order them from Amazon US because they aren’t easily available here in the UK. Have fun puzzling if you get them! We use Math U See and it has worked well for us. The kiddos like the short to the point lessons and the hands-on manipulatives. I am very interested in the Zaccaro books! Thank you for highlighting. I am definitely going to look them up. They look they would fit right into our problem solving homeschooling atmosphere. Hi Jeannine, I’ve heard lots of good things about Maths U See. It really seems to work for some families. We like manipulatives too. Do look up the Ed Zaccaro books. If your kids like problem solving I’m sure they’ll love them! I’ve popped a couple of his books in my Amazon trolley! I see he has an algebra one as well. A friend asked me just today if I thought there was any real purpose to learning algebra as she couldn’t think of any real life examples of when you might need it. I drew somewhat of a blank. Y’see, I obviously need his book!